Whether you are looking for a getaway with a girlfriend or a destination for your next solo travel trip. 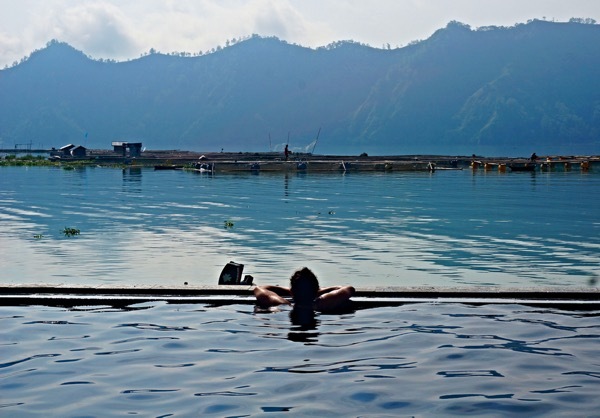 Bali makes a perfect destination for women travelers. From its breathtaking beaches to its rolling rice paddies, you’ll have a chance to explore and enjoy this beautiful island. In Bali, it’s very easy to meet people around the island. Whether you want to connect with locals, other travelers or expats. Most people on the island speak English, making it the universal language used by travelers from all over the globe. Staying with locals is easily available and a chance for you get to know the island a little better. At the same time, it can be a cheaper way to stay in a beautiful villa. 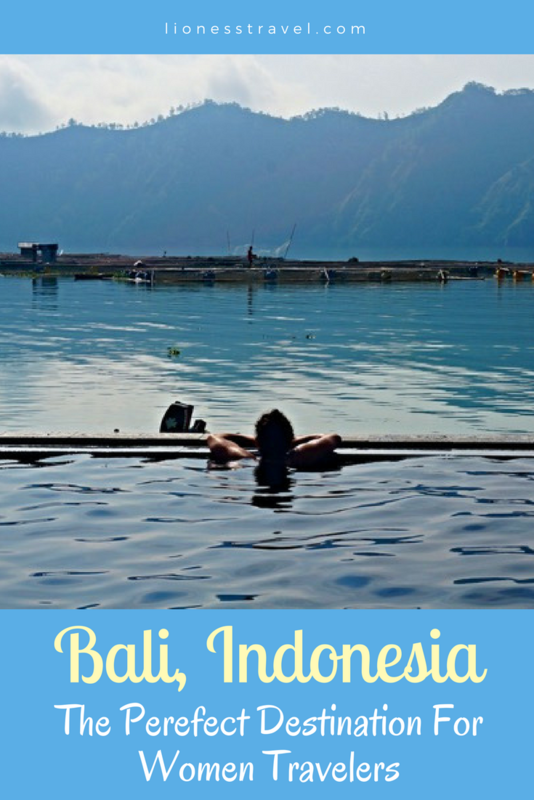 Bali Travel Tip – Meet up with others along your travels. It’s a great way to learn more about the island and find out some of the best things to do. Keep an eye out for our travel buddy app to meet with other women on the road. Like in any country, you need to have your wits about you and stay safe while you travel. Overall you’ll find Bali a very safe place to be. Most places are very active at any hour you’ll be out on the streets so you’ll have plenty of people around. You may have to watch for pick-pockets a bit but won’t find anyone aggressive during your times just wandering the different cities. With the affordable exchange rate for most travelers, taking private and safe transportation around the island is easy. You can have your Airbnb host help you set one up, or visit Trip Advisor to find a driver. Both allow you to see customer reviews. Especially when traveling with another girlfriend it’s a safe and easy way to split the cost while you’re exploring the island. Bali Travel Tip – many tour companies will include transportation to and from your accommodations. Take advantage of this and use them to get from one town to another just by planning a little ahead. 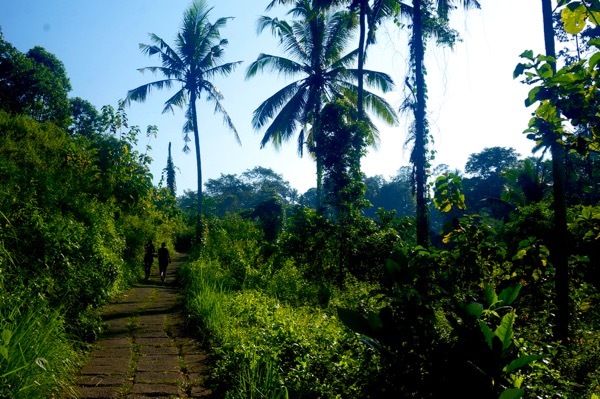 If you’re looking for beauty in your travels you’ll have to look no further than Bali. You’ll find natural beauty in the breathtaking beaches, mountain views, expansive rice paddies, and jungle forests. On top of that, you’ll be in awe of the architecture you find from famous temples to family homes. 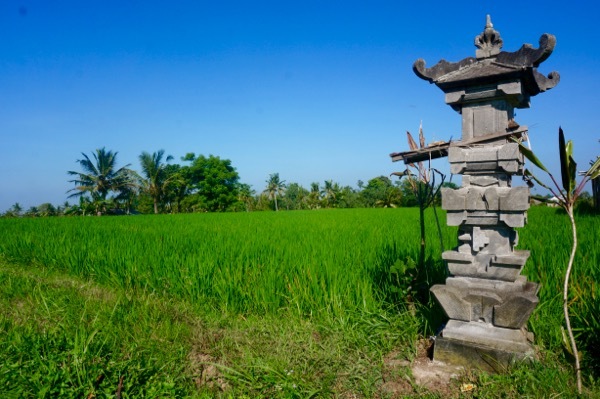 Bali Travel Tip – being an island you might plan on staying on the coast during your trip, but if you don’t spend some time inland especially in Ubud, you’ll miss out on a big piece of what makes Bali, Bali. 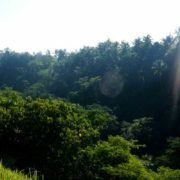 Bali offers you not just a chance to connect with nature and a new culture, but it allows you to connect with yourself. Whether you plan on going on a yoga or meditation retreat or not, you’ll still feel the inspiration to slow down and explore yourself a bit. If you’re traveling in a group get to know each other better, if you’re traveling solo you’ll enjoy wandering and exploring yourself as much as the streets of Bali. 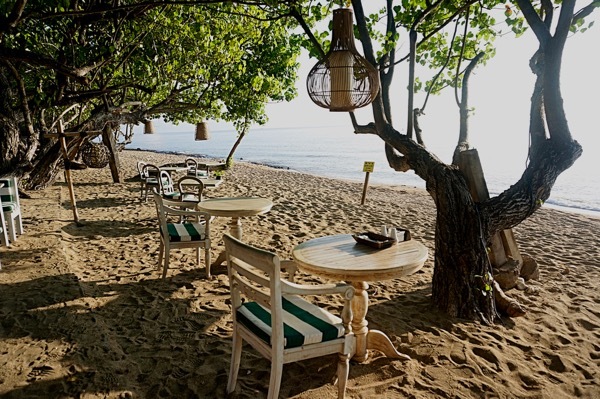 Bali Travel Tip – while on the island take some “me time” to relax and take care of yourself. That might be meditation, yoga or a relaxing spa day. 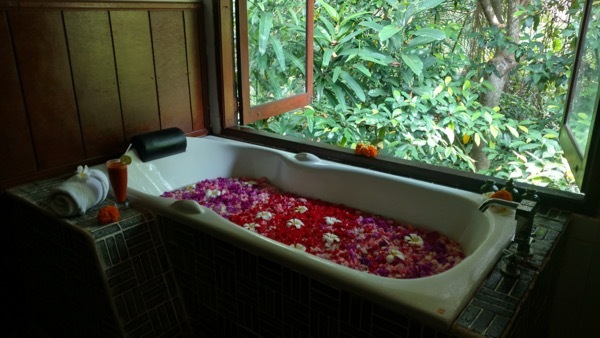 Bali offers amazing facilities for all of the above and at amazing prices.